Arlie Hochschild will discuss her five-year experience getting to know conservative Republicans in Louisiana, now loyal supporters of Donald Trump. How, she wondered, could she – or anyone – cross an “empathy wall” to understand people living in a different truth? What was their “deep story?” And how can America now heal the growing partisan gap --- across a range of vital issues? Her book about this experience, Strangers in Their Own Land: Anger and Mourning on the American Right, was a finalist for the 2016 National Book Award, a New York Times notable book for 2016, and a New York Times bestseller. 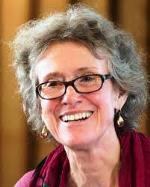 Arlie Russell Hochschild is one of the most influential sociologists of her generation. She is professor emerita of sociology at the University of California, Berkeley. She has long focused on the human emotions which underlie moral beliefs, practices, and social life. She is the author of nine books including The Second Shift, The Managed Heart, and The Time Bind. This is a regular membership meeting of The Rotary Club of San Francisco, open to all Rotarians, visiting Rotarians, prospective members, and guests. Each luncheon ticket includes a three-course lunch. Tickets are $40 each; $35 for Club members who register online in advance (online registration closes at 5PM the day before the meeting). Payment by credit card or check is preferred. Tickets available for purchase only at the door.